Why do I have all of this stuff? 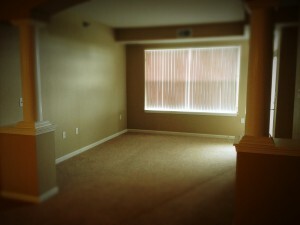 Remember when my apartment was empty? I’m sure Paul does and wonders when in the hell it’s ever going to be clutter free again. I swear I’m having a mini-panic attack over the amount of crap piling up everywhere. I’m tempted to just chuck it all. If I hadn’t gotten sick this week, I’d be further along in the process, and that kind of pisses me off. I hate getting sick. I don’t have time for it! I just have to keep remembering that it took me a while to pack everything. It’s going to take me at least half that time to unpack it all. Plus, it’s good exercise, right? My other problem is…where in the hell am I going to put it? I’m tired of shoving things into closets and just shutting the door. I want to have stuff that I use not that I think is interesting and might use one day. I found a bunch of photos. PHOTOS. What in the hell do I do with those? Remember when people use to put them in albums? I found some of those too. And my feng shui idea is giving me more anxiety than it is helping me get organized. I feel like all of the stuff I have is wrong. It’s all bad chi or will create bad chi if I put it in the wrong place. Have I mentioned that I’m exhausted? I need to stop being so hard on myself. I know why I have some of the crap I have. It’s not that I’m lazy. It’s just that I didn’t care about getting rid of it at the time…to paraphrase Office Space. At least, I’m getting rid of it now. I just want to wave my hands and have all the clutter gone. Oooh. You know what would be great? Someone to give us an organization paradigm. Survey our apartment and furniture and recommend where to put what, what to toss, what to buy to help stay organized. I used to dream of falling in love and being in a relationship with a wonderful man. Now that that dream has been accomplished, I want someone to organize the crap in our apartment. I literally have mental breakdowns when it comes to moving. I think it’s because I moved so much as a child that as an adult it causes huge stress. Thank goodness we’ve bought a house we’re happy with an plan on staying in for a long time!